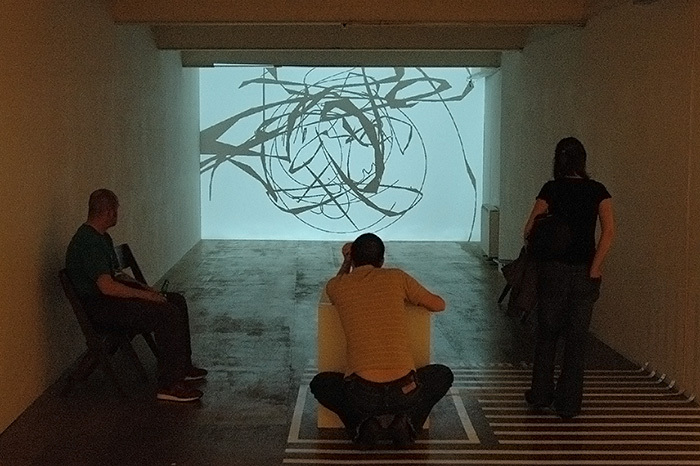 Calligrapher is a simple application for 3D calligraphy. 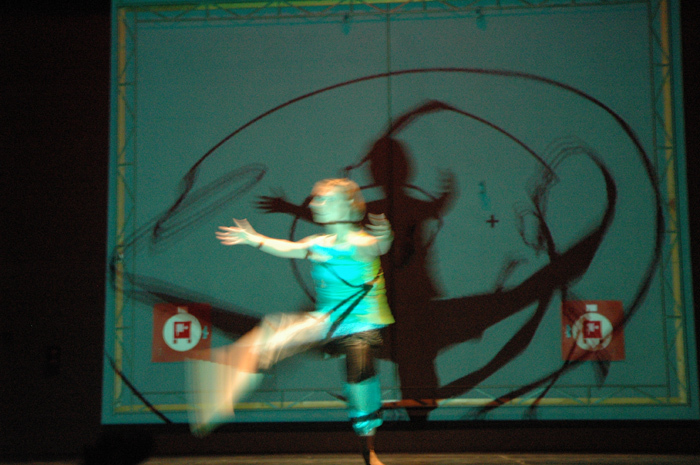 Project was created as a part of dance performance 'Love in Bilingual Motion'. 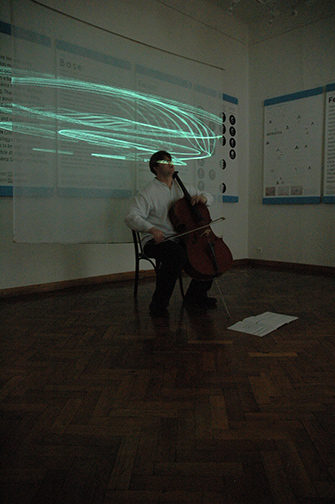 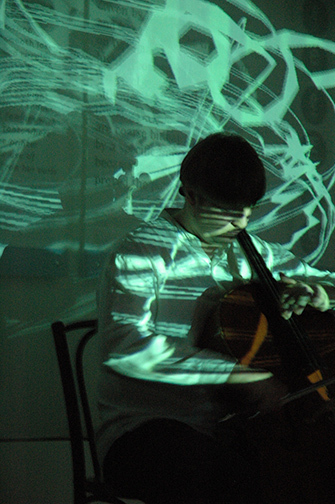 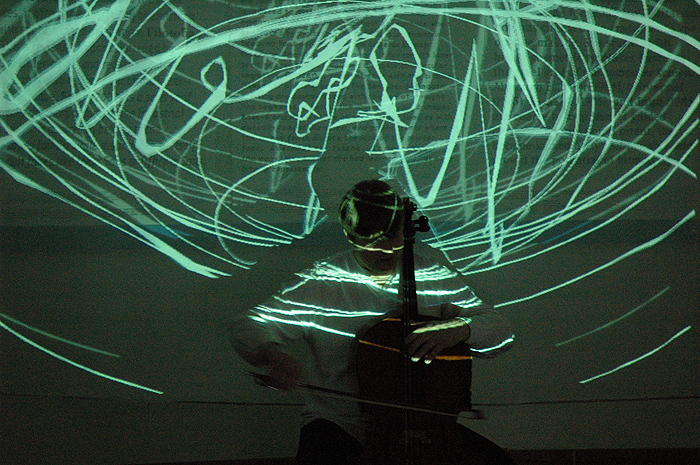 The project is based on movement, gesture, code and information. 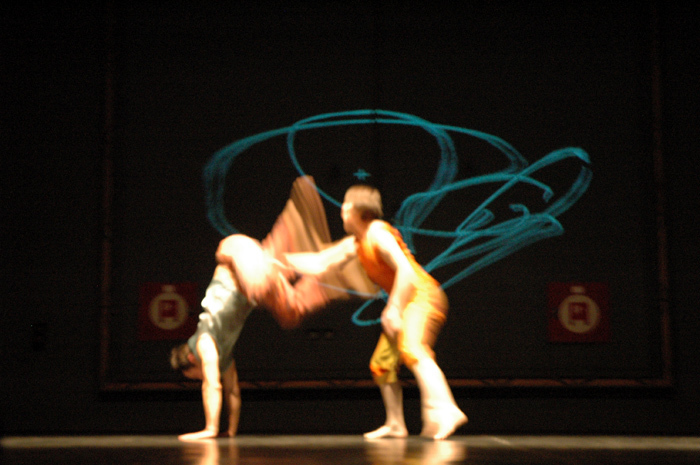 The concept of this projection “closes a circle” of creation, where poetry serves as a base for choreography while the movement of the dancers is shown again as a text. 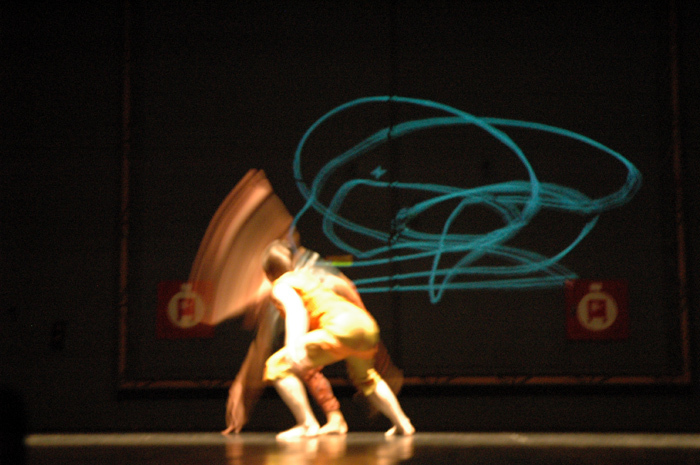 The Calligrapher, who can either react to dancers' movement or improvise, creates visual compositions in real time.